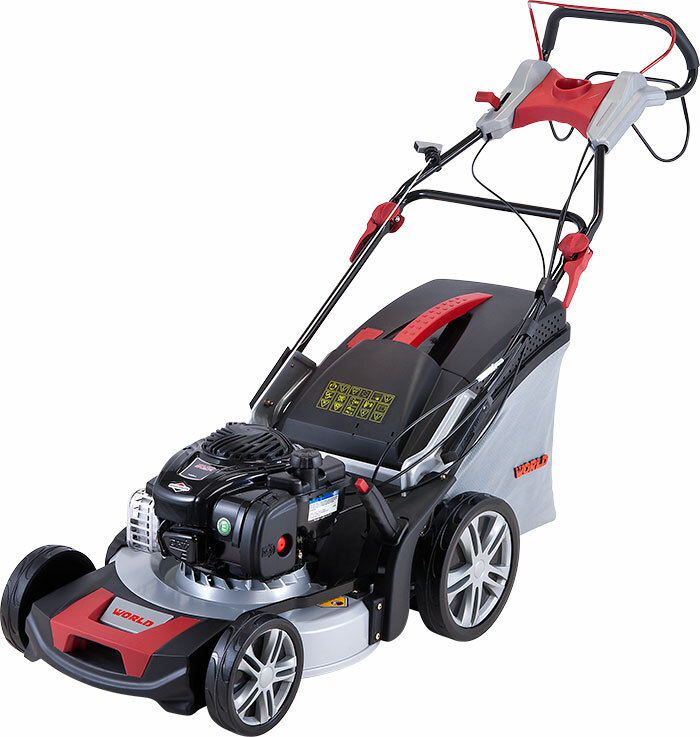 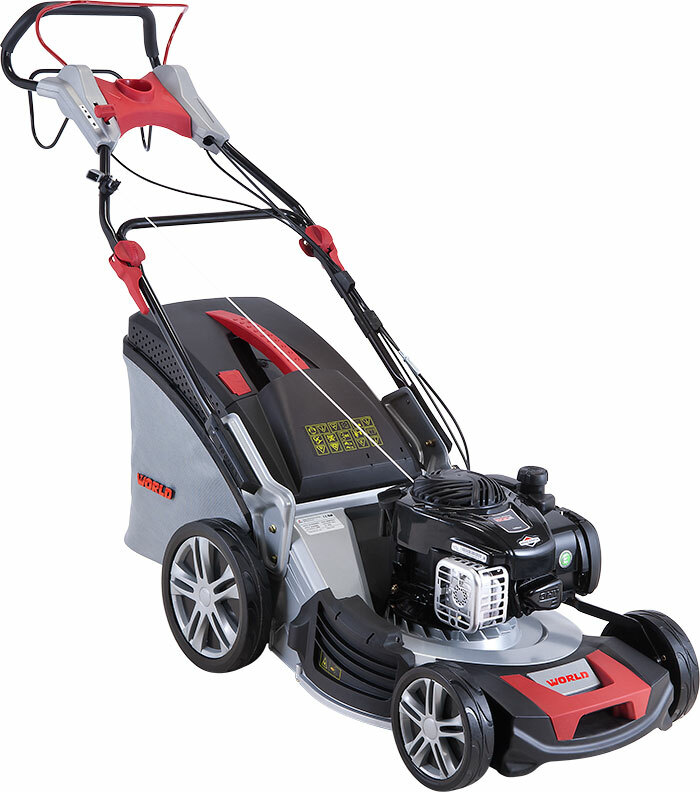 World’s Alu Series benefits from a specification traditionally associated with lawnmowers which retail at a higher price point. 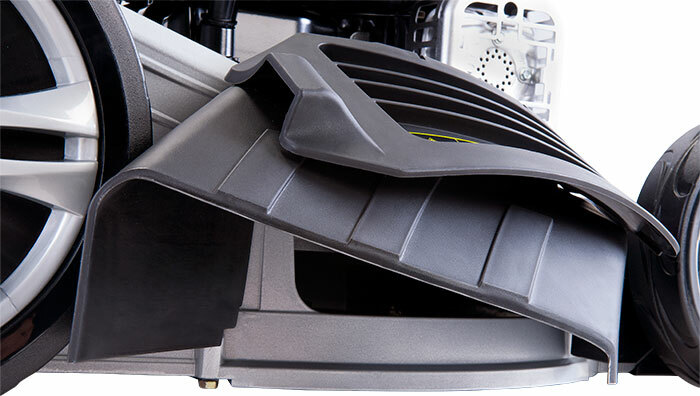 Swing tip blades not only help protect against crankshaft damage, they improve collection efficiency too. 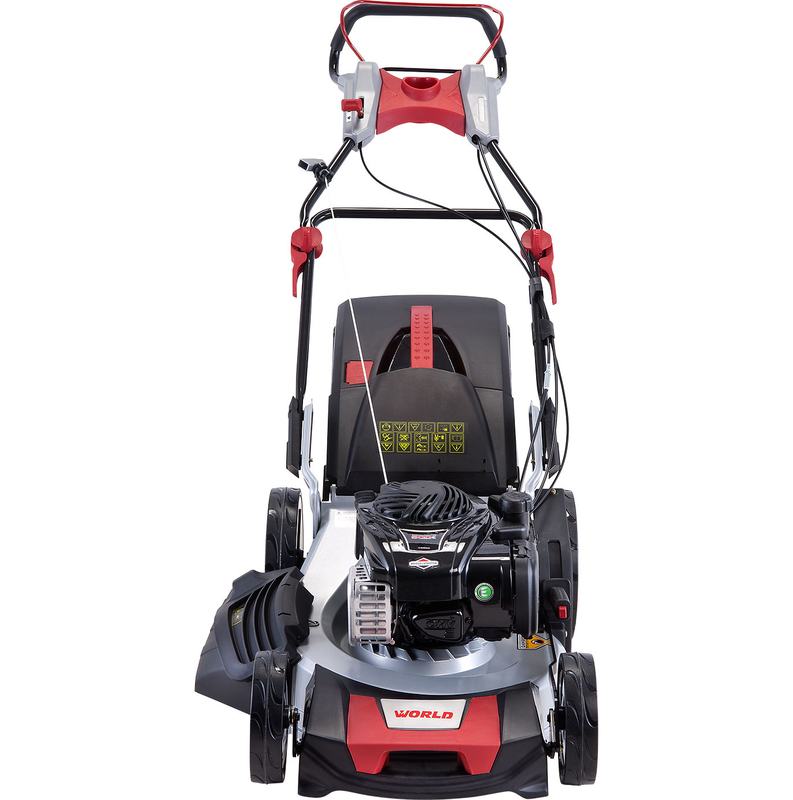 The supersize 70 litres grass bag, means fewer trips to the compost heap and more time on the job, resulting in a quicker cut. And there’s a mulch option available too, for those who prefer to recycle grass clippings. 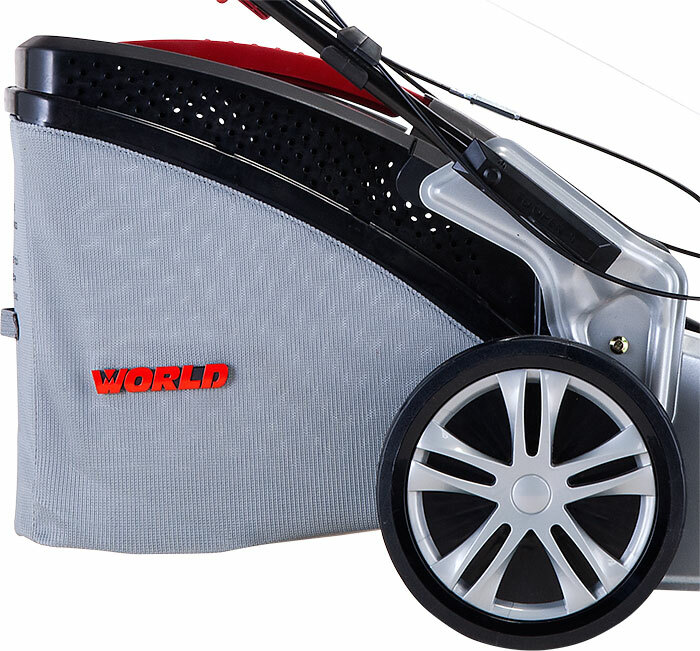 The aluminium body isn’t just corrosion resistant, it’s lightweight yet inherently tough and durable too. 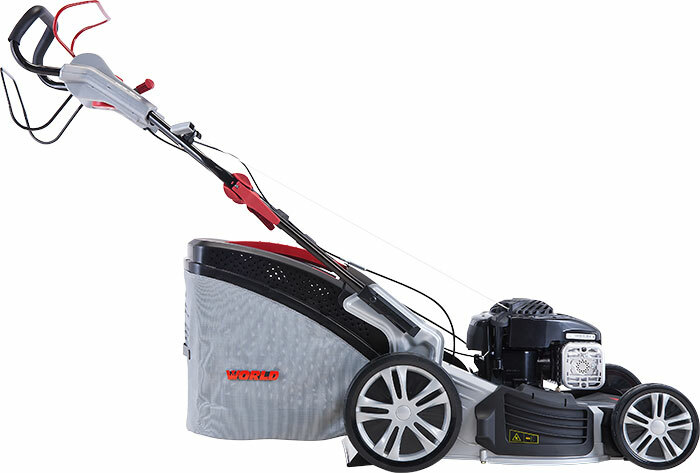 And with a Briggs & Stratton 500E Series complete with user adjustable throttle control providing cutting and motive power, the WLZ19 isn’t just a powerful performer – it’s reliable and dependable too. 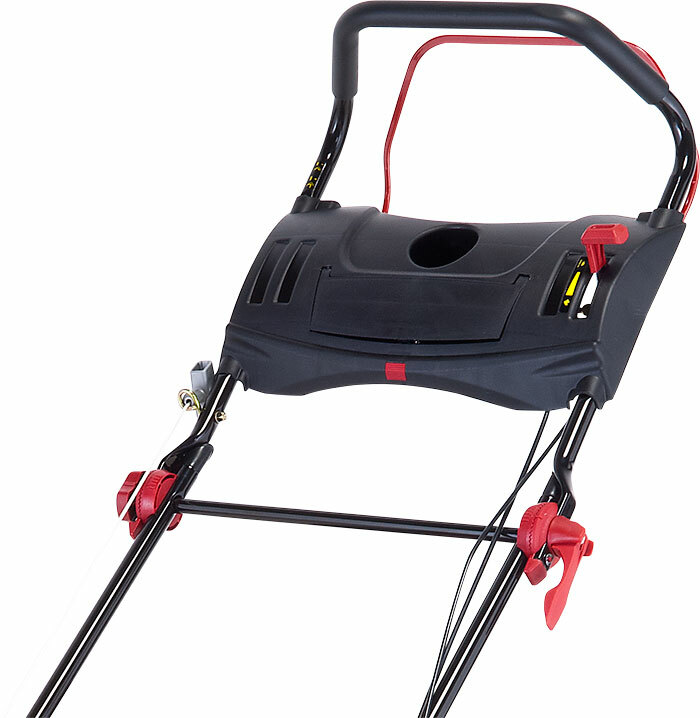 A choice of 7 cutting heights from 25mm to 80mm, makes the WLZ19 ideal for UK grass conditions and medium size lawns. 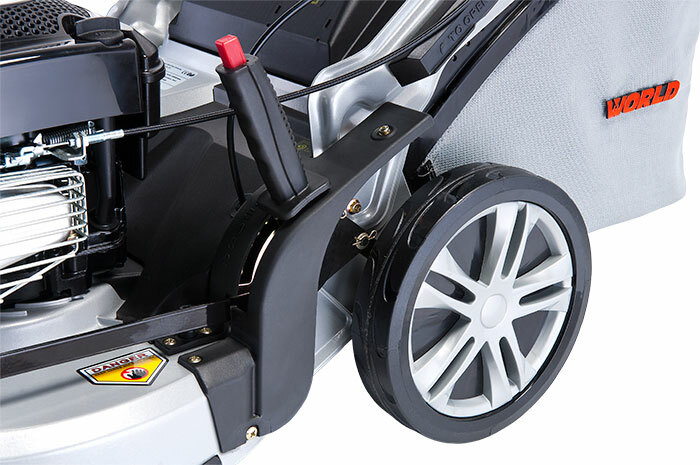 The desired cutting height can be easily selected, by selecting the appropriate setting on the height selection lever. 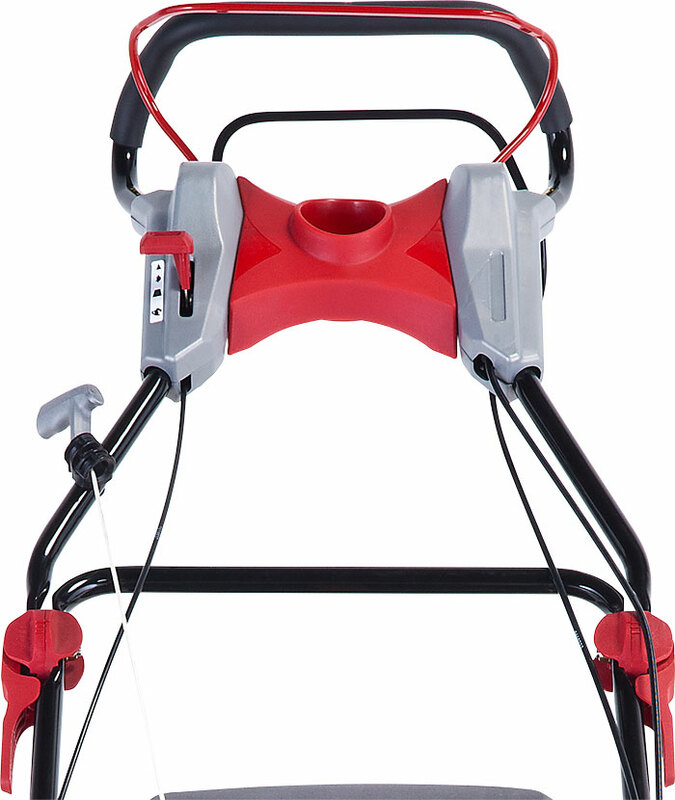 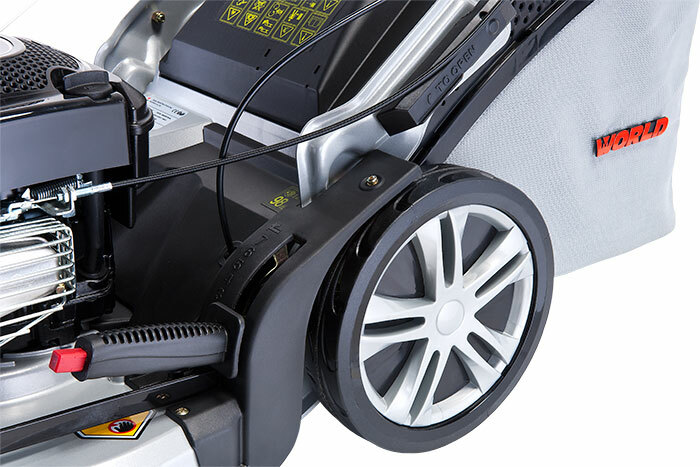 A front bumper helps protect against accidental knocks and bumps, whilst infinitely adjustable, quick release handles ensure the WLZ19 is easy to use and help to reduce storage space too.